1. 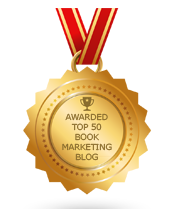 How much time and money will you be able to dedicate to consistently marketing your book? Will you hire another to help you or do it all for you? 2. What are you hoping to accomplish with your marketing efforts – How many sales do you seek? Are you marketing a brand and persona – and not just a book? Do you have other things to sell aside from your book? 3. Identify who your customer is, from the ideal to the general to the least likely. Then think about how to find your potential customer – where do he or she live, hang out, and shop? 4. Think about offering discounts and special deals, when necessary, but don’t lead your marketing efforts by selling on price alone. People still need to want or need what you have to offer – even if it’s free. Tap into why people will buy from you and sell them based on those reasons, least of which should be price. 5. Find those who need your book. Then look for those who might desire it. 6. Market to places or in ways where little competition exists. 7. Diversify your efforts so that you are hitting multiple markets and approaching them in a multitude of ways. You can’t make it by hitting just one market – such as just bookstores, or one location, such as your hometown, or by appealing to one type of buyer. 8. Go where you have already had some success. Milk it and exploit it until you find what used to be profitable is no longer. 9. Find out where your competitors have been and look to clean up some scraps. 10. Go where the cost to market is minimal but the payoff potential is great. Cost-effective marketing is not just the marketing vehicle that costs the least. There is a ratio to figure out cost effectiveness – investment cost vs profits reaped – but you will need to experiment to find what works for you. 11. Find those who can market to others – let people work on your behalf – but only reward them with fat commissions and don’t pay upfront selling costs. 12. Market where there is opportunity – timing, location, price – but be prepared for things to dry up quickly. 13. Market to others in a way that they would be receptive to. You need to come across as friendly, familiar and reliable. Think like the person you are marketing to – determine what they are concerned with and how they would like to be pitched. 14. Market in ways or to places where you don’t need any kind of permission, legal approval, or bureaucratic authorization. 15. Plan ahead with a timeline and allow for plans to get delayed, changed, or foiled. You need a plan of action but you shouldn’t expect to stick to it 100%. 16. Copy what works for others in your situation. 17. Look to model what others outside the book industry have done – learn from how other industries, products and services are marketed. 18. Make your marketing efforts consistent – you need do something daily to help your cause. 19. Don’t worry if you try something and it doesn’t deliver. Measure results, live and learn, and move on. 20. Sample everything. If it works, do it on a bigger scale, but don’t start big. 21. Balance your budget of time, money, and resources between marketing (paid sales efforts) and public relations (free news media exposure). Excellent post. There's so much more to marketing your work than simply posting a notice on Facebook or Twitter, or even blogging. There is more to gain if you target your audience and tailor your plan to something that's comfortable to you and will be received favorably by potential readers. It takes time to develop such a plan, but the reward would certainly justify it. Great advice here. I have been involved for while on book marketing and I can say that one of the most common problems I see over and over is that authors don't put their eggs on right basket. They try this and that. Probably the most important thing is that you find right forums and social medias to participate. And believe me or not, this is science. Internet marketing especially has no boundaries or locations or regions. You could send your e-mails, links or articles throughout the world. I like #4. I have not tried this yet but plan to do so. It 's amazing article and useful for me. I found that you have posted interested articles.